College Hoops: Georgetown Hoyas Playing Prison Ball in China? Coach K and the Duke Blue Devils took on the Chinese National Team on ESPNU this morning, but they weren’t the only college basketball team taking a summer vacation in China. 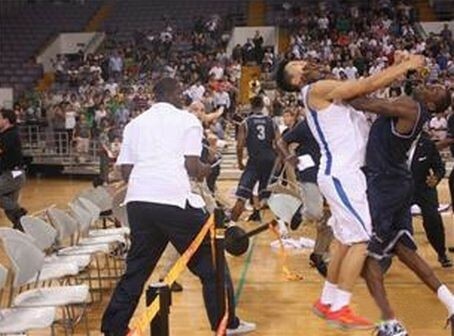 The Georgetown Hoyas played in Beijing on Thursday, and things got really, really ugly.